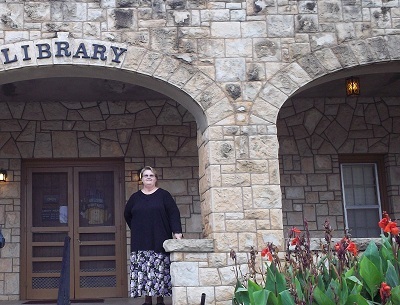 (by Donna Le, 11 October 2011 AD) Members of the Southwest Oklahoma Writers League met at 10:30 Saturday morning, October 8th, in the Margaret Carder Library in Mangum to hear Donna Le, representative of The Heartland Fountain Project, as she gave valuable insights into writing for the preservation of history, for the documentation of personal experiences, and for the creation of both fiction and nonfiction novels and short stories. Ms. Le is a retired teacher, a resident of Edmond, Oklahoma, and a member of the Oklahoma Writers Federation. Those present for the meeting were Melba Combs, Shirley Bustos, Judy Forehand, Jimmy Cox, Sylvia Scott, Robert Nuckolls, Johnie Skalicky, Norma Lauer, Glen & Sue Burkhalter, and Le’s friend, vehoae. 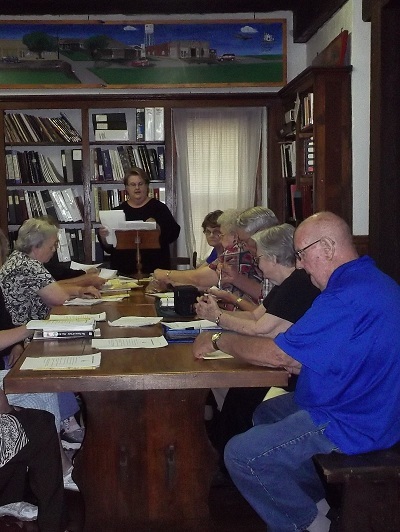 The next meeting of the Writers League is scheduled for 10:30 AM, Saturday, November 12, 2011, in the Margaret Carder Library. All interested persons are welcome to attend.